A blog post by Visiting Graduate Student Gabriel Pereira. 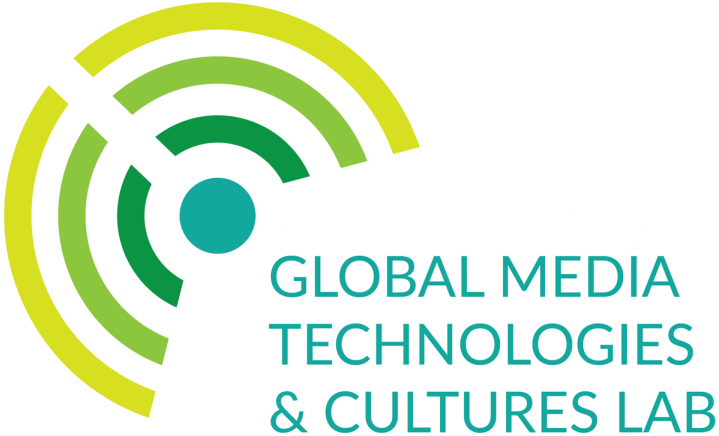 Satellites and other media infrastructures are areas of ongoing interest for GMTaC. As part of our effort in broadening satellite research to other global communities, we attended a presentation by Prof. Dr. Luis Loures of ITA, the Brazilian Aeronautics Institute of Technology on the work carried by satellite engineers in Brazil. He spoke specifically about the SPORT (Scintillation Prediction Observations Research Task) project, which is carried out collaboratively between NASA, INPE (Brazil’s National Institute for Space Research) and other universities/institutions. The project aims to construct and deploy a CubeSat, a small type of satellite, that will generate measurements to better understand and model space weather. As the sun releases solar flares, these tend to impact satellite activities by modifying the behavior of the neutral atmosphere, thus affecting the accuracy of satellite-based positioning for receivers on the Earth’s surface. The outage of satellites and the interference to information sharing due to space weather can cause various negative effects and potentially costly impacts in daily life. This is an important discussion, especially in the case of Brazil, since its position near the equator makes it subject to more frequent solar flares. Prof. Dr. Luis Loures’ presentation at MIT. The research and development of this specific satellite, as described by Prof. Loures, is also fraught with political and economic considerations. The project, as a Brazil-USA collaboration, has many stakeholders. ITA is responsible for the service model (the design of the satellite), while the partners are developing the instruments. As a result, the Brazilian team has adopted the Agile Manifesto’s approach to project management. The Agile Manifesto proposes an incremental and iterative approach focused on, amongst other things, “responding to change over following a plan”. This, Dr. Loures confided, was quite different from what NASA is accustomed to, because they have not historically developed as many small satellites. He called this “a different mindset”, which the Brazilian team still had to come to terms with, especially as this was the first collaboration between the two teams (at least in recent years). Following the Agile-based management approach also means thinking through design loops, whereby the many development uncertainties can be iteratively addressed. For example: when the project started, there was no framework agreement to regulate the sharing of information between Brazil and the United States. This led to many months of work where the communication between the teams was severely limited, as U.S. laws did not allow the sharing of certain documents while the agreement was not approved by the Brazilian parliament. In a moment when Brazil’s political climate has been notably chaotic (impeachment, corruption scandals and so on), the approval of the framework agreement was only completed in April 2018, much later than originally planned and after the start of the collaboration. When asked if the political instability affects the project, Dr. Loures was quick to admit that “every day there is an influence of the political climate in Brazil”. That said, it is very interesting to consider how closely politics impact scientific research, and how researchers adapt to these circumstances: Dr. Loures alluded to how, before the agreement went into effect, they had to reverse-engineer how NASA was designing by looking at recently published research papers. The satellite built under the SPORT projected will be tested in 2019, and is expected to be launched in 2020, if everything goes according to plan. The political climate in Brazil, where funding for science suffered a dramatic cut of 44% in 2017, may continue to be an unpredictable influence; collaborations with CERN (a particle-physics laboratory in Switzerland), for example, recently lost their funding. In the upcoming federal election, an extremist far-right candidate leads the polls and is proposing even further privatization and decreases in funding to science and research. Considering that both ITA and INPE are state-funded entities, with direct ties to the Ministry of Education and Science, that may prove to have a very damaging effect on Brazilian satellite research. Next post Chasing Rubber Tanks: Are Surface-Level Observations Reliable?